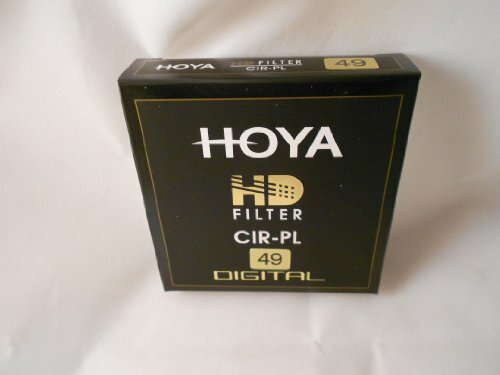 The Hoya Circular Polarizing HD (High Density) Digital Glass Filter represents the next generation of dynamic Hoya filters. This filter, with its hardened glass, has 4x the tensile strength of traditional filters of similar fabrication. This filter is also of great use in today's digital market where sensors are more sensitive to reflected light. Hoya incorporates special coatings that reduce these internal reflections and, thereby, promote a clearer, brighter and sharper image. Light rays which are reflected become polarized. Polarizing filters are used to select which light rays enter your camera lens. They can remove unwanted reflections from non-metallic surfaces such as water or glass and also saturate colors providing better contrast. The effect can be seen through the viewfinder and changed by rotating the filter. The filter factor varies according to how the filter is rotated and its orientation to the sun. Note! Circular polarizers are specifically designed for use with auto-focus SLR cameras (They will also work on manual systems and video cameras without problems).